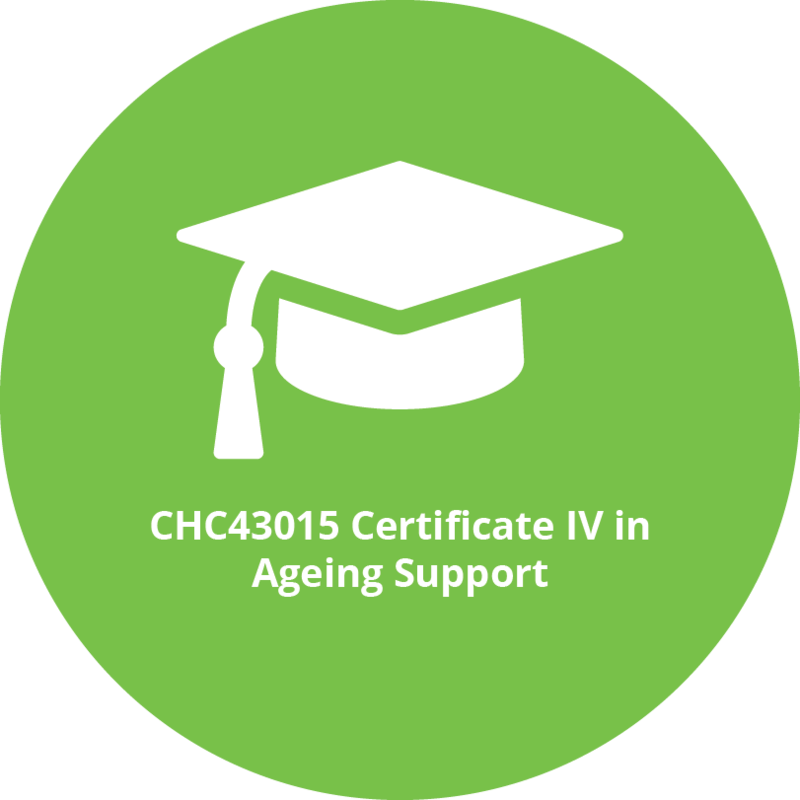 Our CHC43015 Certificate IV in Ageing Support is the most up-to-date qualification available for individuals wanting to work in an Ageing Support Role. Study the qualification in a supportive and caring environment. The trainers at Aged Care Training Services are passionate about making a difference to the lives of others particularly the elderly. This passion also extends to our students who have access to personalised support through their trainer which is a key component in developing the necessary skills required to deliver Ageing Support. Learning and assessment occurs in two distinct phases. The first phase includes facilitated classroom learning, self-paced learning and theory-based assessment. This is followed by the practical placement phase where skills and knowledge are applied and practiced and work-based assessment occurs. Relationships with practical placement partners are established and managed by Aged Care Training Services. Learning is scheduled as face to face group classroom sessions, with self-paced activities and completion of assignments scheduled in between classes. Classroom sessions will include theoretical learning as well as skills-based learning using simulated scenarios. Learners will also have the opportunity to visit a workplace to put their learning into context. Self-paced learning will include additional reading (pre and post sessions) and research and assigned learning activities. The assessment in phase 1 includes written response knowledge-based assessment at the end of each cluster. Learning in phase 2 occurs in the workplace through the completion of day-to-day practical work tasks under the guidance and supervision of a nominated workplace supervisor during practical placement. Learners will also complete a workplace journal that includes assigned tasks and reflective activities to consolidate their learning practice and provide the assessor with supplementary evidence of the learner’s competency. Workplace observation assessments will occur during scheduled visits to the workplace/ aged care facility by the assessor during phase 2 when an individual is ready to be assessed. The assessor will also gather feedback from the nominated workplace supervisor at the end of phase 2. 10-14 Months depending on a person’s prior experience. Aged Care Training Services will arrange Practical Placement for eligible individuals! We work with a number of reputable facilities in the Melbourne regional and metropolitan areas. We always aim to place individuals in a facility that is close and convenient for their individual needs. Please Note: Practical Placement positions are at the discretion of the facilities availability and criteria. 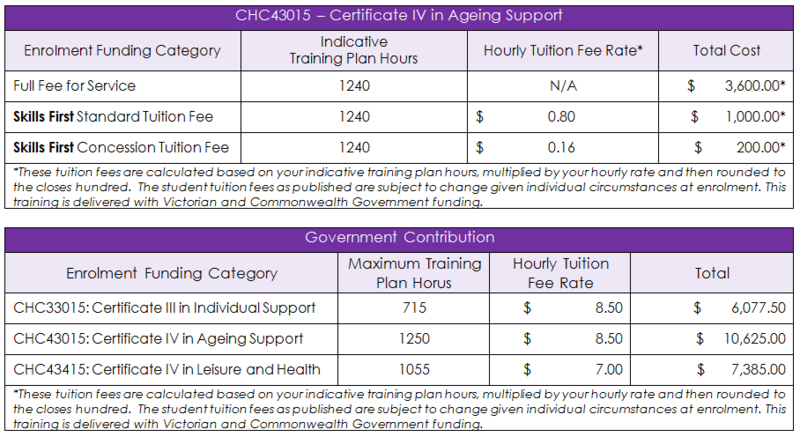 into CHC43015 Certificate IV in Ageing Support.